Abstract : Diabetes is a condition where pancreas fails to produce insulin hormone, which converts the sugar in the food into energy. Insufficient secretion of insulin results in excess glucose level in the bloodstream, resulting in diabetes. The blood glucose is required to be used to provide energy and fuel to the body to do all kinds of activities. High level of glucose in blood eventually affects the organs of the body. Yoga considered as an alternate source of healing in diabetes. Yoga helps to strengthen the immune system, improves blood circulation and the flow of vital energy or prana to the internal organs of the body. The secretion of stress hormones, due to faulty diet, hectic lifestyle or wrong thinking is controlled by the practice of yoga. Yogic exercises cause the muscles to absorb the excess glucose in the blood stream, thereby reducing the blood sugar level. They stimulates the pancreas and liver to function effectively, which regulates the blood sugar levels. Asanas help in regeneration the pancreatic cells, thereby assisting insulin secretion. The muscular movements also help in bringing down the blood sugar levels. Asanas induce relaxation & plays a key role in the healthy functioning of the internal organs. Ex : Paschimotasana, Shalabhasana, Mayurasana A profound understanding of yoga enables introspection. When attention is turned inwards, it effects a radical change in our beings, manifest as inward balance and poise. As peace fills our being, the body begins to function in harmony & improves the quality of life a sign of good health. 2 Utility of Bedside Lung Ultrasound in Emergency (BLUE) protocol for the evaluation of patients presenting with dyspnoea in Emergency Department. Abstract : The aim of this study was to find out the utility of Bedside Lung Ultrasound (BLUE) PROTOCOL in diagnosing the pathology of acute respiratory failure in patients presented to the emergency department. This is observational study was conducted in emergency department. We performed BLUE PROTOCOL on patients admitted in Emergency department with acute respiratory failure. All the patients above the age of 12 years were included. Results obtained by the BLUE PROTOCOL and final diagnosis done by the clinical experts were compaired. Rare ,uncertain diagnosis or multiple diagnosis were excluded. diffuse B lines with lung sliding indicating pulmonary edema can be diagnosed with sensitivity of 93% and specificity of 97%. Normal profile plus deep venous thrombosis indicates pulmonary embolism with sensitivity of 80% and specificity of 97%. Pneumothorax shows absent lung sliding plus A lines plus lung point can be diagnosed with sensitivity of 66% and specificity of 100%. B’ profile, A/B profile, C profile, A profile plus PLAPS indicates pneumonia whose sensitivity in diagnosis is 95% and specificity 97%. COPD and Asthma seen as A line plus lung sliding have sensitivity of 90% and specificity 100%. BLUE PROTOCOL had diagnostic accuracy of 90.5% in patients of acute respiratory failure. Faster results is the essence of BLUE PROTOCOL. Abstract : Milk contains high nutritive value content such as protein, carbohydrates, and minerals. In addition to all these a protein called casein is also present in it which is only found in milk ad it is valuable for human health. The microbes present in milk responsible for the spoilage and they are also destroying the nutritive value by their enzymatic activity and metabolic reactions. So it was challenging issue to overcome these problems for microbiologist and scientists for prevent the growth and entry of these hazardous microbes in the milk and their product. Bacteria like heterofermentive lactobacilli, psychotropic bacteria, gram negative bacteria, yeast, molds, other microbes produce off odour in milk which cause sour taste and are unhygienic for human consumption and results in causing different disease like typhoid, diarrhea, brucellosis, tuberculosis. For identification of such life threatening bacteria microbiologist and science technologist investigate best way to find out the main reason for the spoilage milk and milk products prepared by them through several technical and experimental methods. These methods include bacterial isolation, identification, characterization, Biochemical test, morphological identification and 16s DNA amplification of isolated bacterial colonies from milk and their products. Study showed and proved that all bacteria are not harmful for human health some bacteria are also beneficial so to restrict or destroy harmful microbes several methods and experiments are performed during the processing of milk. These process of destroying harmful microbes include pasteurization, cooling, use of antimicrobial preservatives and chemical methods. These process doesn’t make any change in milk taste and quality of milk. 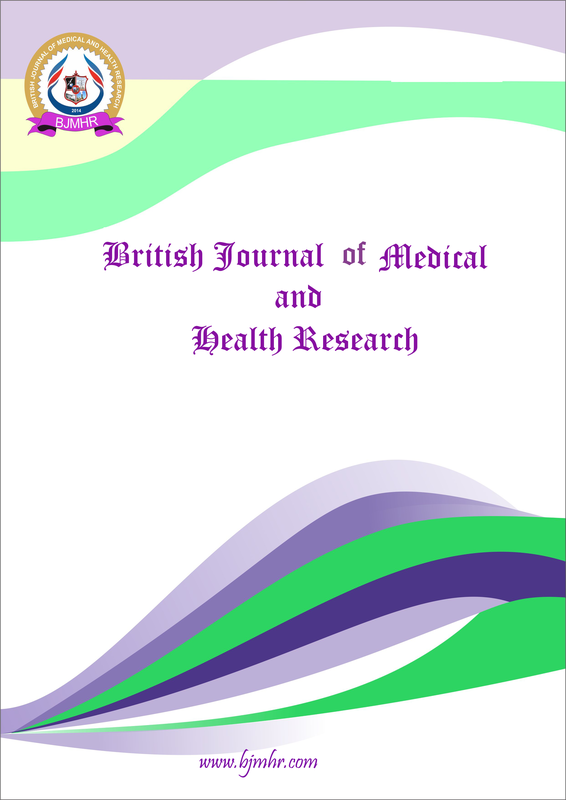 The main aim of this research study of these bacterial isolates for their microbial activity in milk to prevent health related issues in human and to overcome problems in their day to day life due to consumption of spoiled milk and milk products which are affected by these life threatening microbes. Keyword : spoilage, psychotropic bacteria, Lactobacillus, DNA Amplification, casein. Abstract : Malnutrition is one of the most important nutritional issues that can arise during cancer treatment and it is common among patients with head and neck cancer (HNC). The anatomic site of tumor can significantly affect deglutition and mastication which are the major causes of malnutrition apart from cachexia. The objective of this research work was to study the socio-demographic and nutritional status of patients with HNC. A pilot study was undertaken in patients diagnosed with HNC (n=50), attending cancer care specialty hospital, Mysuru, India. From the results, it was observed that the mean BMI of the patients (18.63±3.56 kg/cm2 in men, 21.06±4.69 kg/cm2 in women) was normal. The subjects had MUAC values lower than the standard value indicating a nutritional risk if not given attention (Men-25.12±2.47, Women-24.21±4.24). The TSF values were lower (Men – 7.27±4.19, Women – 14.3±7.64) compared to the standard value (10 in men and 13.25 in women). Hence, BMI is not an accurate tool to reflect the nutritional status. Biochemical data revealed that the haemoglobin (12.53±2.24 g/dL in men, 11±1.73g/dL in women) and platelet count was lower than the normal values. The PG-SGA score revealed that 42% of the study population were in the SGA B and C category implying moderate to severe malnutrition and 54% of the patients complained of deglutition. Cancer cachexia along with lower values of anthropometric measurements and biochemical parameters reflect poor nutritional status among HNC patients undergoing chemotherapy or radiotherapy or both. Therefore, nutritional screening and assessment of the HNC patients are of utmost importance before starting the treatment regimen. Keyword : Head and neck cancer, malnutrition, India, socio-demographic, nutritional status. Abstract : Due to its substantially increasing prevalence, obesity has become a worldwide concern. A tremendous number of studies existing nowadays highlighting the negative impacts of obesity on human health, however the potential role of obesity in gastrointestinal symptoms is unclear and, furthermore, inconsistent results reported from many studies. We, in this study, tried to answer the question whether obesity carry a higher risk for specific endoscopic diagnoses in patients with dyspepsia. This is a cross sectional study conducted at Sohar Hospital, Sultanate of Oman, on patients who complained from dyspepsia and referred as a candidate for esopagogastorduodenoscopy (EGD) due to either persistence of symptom, presence of alarming feature(s) or being more than 50 years. Clear definitions of obesity, dyspepsia, EGD findings and alarming features were made according to the general consensus. EGD was done to all patients who were included in the study for gross endoscopic abnormality as well as for Helicobacter pylori (H. pylori) infection. The endoscopic findings were analysed by the two the endoscopists independently. Among 118 participants, 61 were obese (51.8%) and 57 (48.2%) were non-obese. There were no statistical differences in term of patients’ gender and ethnicity. Eighty four (71.2%) patients presented with one of the alarming features. Weight loss, as a presentation, was particularly more common in obese patients (p < 0.001). Among all patients, 14 (11.9%) had normal EGD, majority were non obese (p < 0.033). For obese patients, the majority, 58 (95.1%), showed abnormal EGD findings (p < 0.001). A significant difference was observed between obese and non-obese patients presented with respect to hiatus hernia with esophagitis (p <0.001), gastritis with positive H. pylori (p = 0.046), gastritis with negative H. pylori (p = 0.021) and gastritis due to bile reflux (p = 0.002). Obese patients in our study showed a significantly higher abnormal EGD findings compared to non-obese. Bile reflux related gastritis represented the commonest abnormality. With these findings, EGD might be considered more frequently in obese patients who presented with dyspepsia for early diagnosis and treatment. Abstract : The objective of this study was to understand the physicians’ perception in the management of hyperthyroid disorders. In this single visit survey, 177 physicians across India were asked to fill the questionnaire pertaining to hyperthyroid disorders, medications and its compliance. A total of 44% of physicians prescribe anti-thyroid drugs for minimum of 18 months, whereas 37 % prescribe anti-thyroid drugs for 12 months. Almost 48% of physicians’ initiate carbimazole 10 mg BD/day or 20 mg OD in their patients. Non-adherence due to unavailability of anti-thyroid medications is a major concern seen in their patients. Almost 44 % of physicians confirmed that >20% patients discontinued anti-thyroid therapy due to non-availability. Majority of the physicians (89%) prefer compliance pack i.e. bottle of 100 tablets to their patients. Antithyroid drugs are usually administered for about 12-18 months. Non-compliance due to unavailability of medicine is the major problem in the management of hyperthyroid disorders. Compliance pack/bottle of 100 tablets could be a useful option to improve patient compliance. Keyword : Antithyroid drugs, compliance, hyperthyroid disorders. Abstract : To understand Knowledge, Attitude and Practice (KAP) of physicians in the management of postprandial hyperglycaemia in type 2 diabetes. A questionnaire based cross sectional study was carried out with 105 physicians across India. The questionnaire was aimed to understand the management of postprandial hyperglycaemia, glycemic variation and comprehend the role of alpha glucosidase inhibitors from the Indian perspective. About 98% of physicians have reported that postprandial hyperglycaemia is an important factor contributing to glycemic variability. About 72% of physicians consider that voglibose, alone or in combination to other oral hypoglycaemic agents helps in reducing glycemic variability. Almost 88% of physicians consider that mouth dissolving formulation of voglibose will increase the compliance in their patients. Only 55% of physician’s have advised their patients to take voglibose during the first bite of meal. Physicians consider postprandial hyperglycaemia as an important contributing factor for glycemic excursions and consider voglibose either alone or in combination with other oral hypoglycaemic drugs would control glycemic variability. Similarly, the mouth dissolving voglibose would be a better option to increase patient compliance with respect to conventional voglibose. Keyword : Postprandial hyperglycaemia, type 2 diabetes, voglibose. Abstract : To study the clinical and radiological presentation of lung cancer and diagnose the type of lung cancers using cytohistopathology and immunohistochemistry where-ever required. The study was carried out on 200 patients of lung cancer. Cytological investigations included sputum cytology, pleural fluid examination, percutaneous needle aspiration, trans-bronchial needle aspiration and FNAC lymph-node. Histopathology of paraffin embedded sections of lung biopsies was done. Immunohistochemical staining was done where ever required. Out of 200 cases, cytology was helpful in typing malignancy in 165 cases (82.5%).In the remaining 35 cases, 21 cases (10.5%) were suggestive of malignancy and 14 cases (7.0%) were inconclusive. On histological evaluation of 64 cases, typing was possible in 48 cases (71.8%) and 18 cases (28%) were reported as poorly differentiated carcinoma. After applying immunohistochemistry in 18 cases of poorly differentiated malignancies, 13 cases(72.2%) were positive only for CK5/6 as squamous cell carcinoma, 4 cases were positive for TTF1, out of which 3 were positive for CK7 making it as 4 cases(22.2%) of adenocarcinoma. One case (5.5% was positive for CK5/6, CK7 and TTF1 and was diagnosed as adeno-squamous carcinoma. Combination of various cytological techniques following additional use of histological evaluation of lung biopsies where ever required has raised the sensitivity of diagnosing lung cancer from 82.5% to 91.0% and immunohistochemistry clinched the diagnosis in poorly differentiated lung cancers.